DiversityIndia is partnering with National Moth Week (NMW) for this years Moth documentation mission. It is proposed to celebrate NMW from July 20th-28th, 2013. 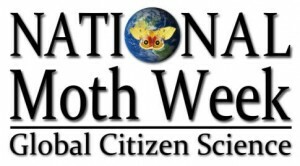 NMW is an annual event to promote education and conservation through moth observation public events throughout the world. DiversityIndia and specially IndianMoths members would organize both public and private events to watch and document moths. Please register any events being planned using the registration form. After the event post your observations on the forum of your choice YahooGroup, Facebook, Flickr, Picasa, iNaturalist, IndiaBiodiversityPortal or Project Noah but preferably on website supporting geo-location and downloading records like iNaturalist or IBP. If you want to check the locations where the events are already planned check here.